Time for my end of the year roundup! I've adapted this meme from Jamie at The Perpetual Page-Turner, via Amanda over at Ramblings. My favorites: well, keep reading and I think it will be obvious! Villette by Charlotte Bronte. I adore Jane Eyre, so this was a huge letdown. I know many people love this book, but it just seemed like a huge slogfest, and the payoff sucked. This one is a tie: The Grand Sophy by Georgette Heyer and A Game of Thrones by George R. R. Martin. I expected to hate Sophy because I'm not a fan of Jane Austen wannabees, but this was great -- I could feel the Austen influence, but the characters were fresh and the story was pretty funny. Not terribly challenging, but a fun read. And I normally have no interest in epic fantasy but I fell in love with Martin's world of Westeros and its multiple intertwining storylines. I finished the first three books in the series and I'm dying to know what happens next. The three volumes of Jane Austen annotated by David M. Shaphard: Persuasion, Pride & Prejudice, and Sense and Sensibility -- though I admit I've only read two so far. Persuasion and S&S are so wonderfully annotated, Pride and Prejudice must be great also. I'm also looking forward to the annotated Emma which is out next spring. And I've been recommending Zola all over the place. Germinal is a masterpiece, but I loved La Bete Humaine and Pot-Bouille as well. I first read Zola back in 2010 but this is the year I really fell in love with his work. 5. Best series I discovered in 2011: Hands down, A Song of Ice and Fire by George R. R. Martin. See #3. 6. 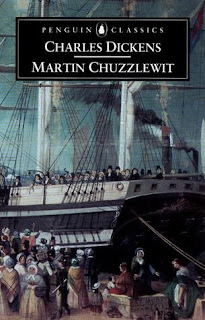 Favorite new authors of 2011: Georgette Heyer and George R. R. Martin. 7. 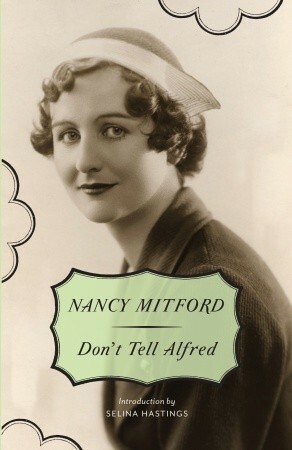 Most thrilling, unputdownable book of 2011: Lady Audley's Secret by Mary Elizabeth Braddon. It's called Victorian Sensation for a reason -- I can see why this book has never gone out of print. 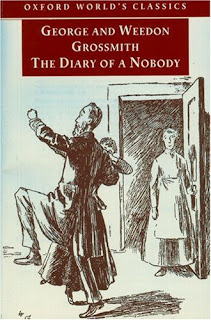 It's a fun Victorian roller-coaster of a novel. Not very deep, but really fun. 8. Book I most anticipated in 2011: Probably Germinal by Emile Zola. I'd heard raves about it from Amanda, and more than a year ago we put it on the reading list for our real-life classic book group. I know it's more than 100 years old but it was my most anticipated book of the year, and one of my favorites. 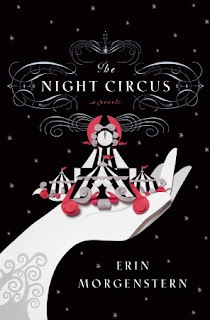 The Night Circus is just beautiful and stylish, and I love the woodcuts in the Wodehouse editions by Overlook Press. If I had more money and bookshelves, I'd buy the whole series. 10. Most memorable character in 2011: Two characters actually, both from A Song of Ice and Fire by George R. R. Martin. First, Tyrion Lannister. He's a rude, lusty dwarf from a horrible family, but Martin makes him so interesting and sympathetic. Also, Arya Stark, the ten-year old girl who's trying to survive as war breaks out in Westeros. I can't wait to find out what happens to both of them. 11. Most beautifully written book in 2011: Probably The Night Circus by Erin Morgenstern. I did have some problems with this book, but it was really beautifully written. Unfortunately I can't pull any quotes from the book because there was a huge waiting list at the library and I had to return it immediately after finishing it. 12. Best book that was out of your comfort zone or was a new genre for me: A Storm of Swords is my favorite so far in the Song of Ice and Fire series, but it was A Game of Thrones that dragged me kicking and screaming into the epic fantasy genre. Definitely NOT my comfort zone! 13. 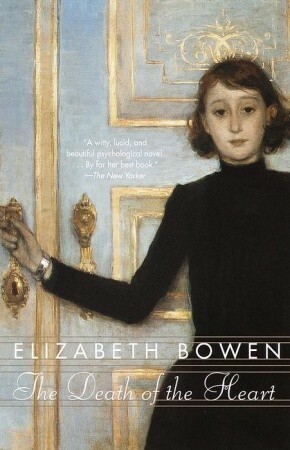 Book that had the greatest impact on you in 2011: A tie between Zola's Germinal and La Bete Humaine. From Germinal I realized just how amazing Zola is; La Bete Humaine has moments that still shock me when I think about them. 14. Book you can't believe you waited until 2011 to FINALLY read: Crossing to Safety by Wallace Stegner. I've wanted to read it for about five years, since I read the wonderful Angle of Repose. I nominated it for my library book group and we had a great discussion. 15. Book you read in 2011 that would most likely to be reread in 2012: The Annotated Persuasion edited by David M. Shaphard. The annotations add so much to these books -- I get more out of them every time I read Jane Austen. 16. Book that had a scene in it that had me reeling and dying to talk to somebody about it? (A WTF moment, an epic revelation, a steamy kiss, etc., etc). No spoilers! : All three books in A Song of Ice and Fire by George R. R. Martin have moments that made me nearly drop the book and scream, "Oh. My. God! That did NOT just happen!!" And La Bete Humaine by Emile Zola had some shocking plot twists as well. Repeat: authors: I repeated a LOT of authors this year! I read three books each by Jane Austen, Georgette Heyer, and George R. R. Martin; four by Emile Zola, and seven by P. G. Wodehouse. Books from my TBR shelves: 26. An epic fail!! I read too many books from the library, and I'm sorry to say I bought way too many new books so I could read them immediately instead of taking something off the TBR shelf. And let's not even discuss the books I bought in 2012 that are filling up the TBR shelf. I think it's time to adjust my reading goals and habits. What about you, bloggers? 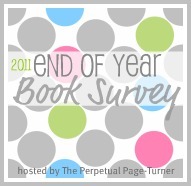 Did you have a good reading year in 2011? 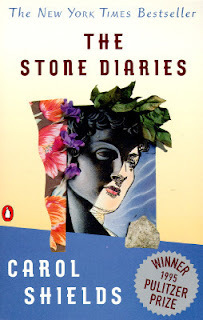 What are your reading plans for 2012? Sorry for the double posting, but I accidentally clicked on publish instead of save as a draft. Oh well. 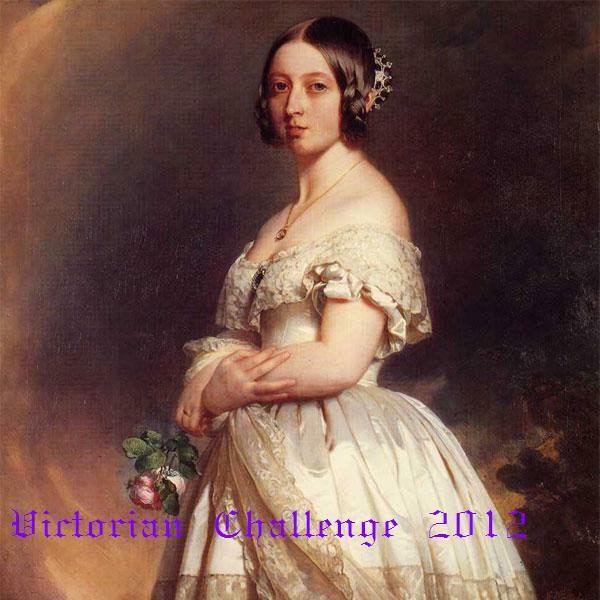 I didn't mean to sign up for more challenges, but I love the Victorians, how could I resist? This challenge, hosted by Laura at Laura's Reviews, is pretty easy by my standards: two to six Victorian novels (or adaptations) are to be read, watched, or listened to. I have stacks of Victorian novels on the TBR shelves, and quite a few in the DVD cabinet I still haven't watched. I could easily complete this challenge by watching BBC adaptations alone, but that would be cheating. 1. Martin Chuzzlewit by Charles Dickens -- already signed up for a group read for this one. 2. Our Mutual Friend by Charles Dickens -- there's going to be a lot of Dickens obsession next year as it's the 200th anniversary of his birth. Two Dickens doorstoppers in one year would be quite an achievement. 3. The Return of the Native by Thomas Hardy -- I'm hoping to get this on audiobook. I've heard the version narrated by Alan Rickman is brilliant. 4. Doctor Thorne by Anthony Trollope -- I loved Barchester Towers and it's been a whole year since I finished it, so it's time for more Trollope. 5. The Diary of a Nobody by George and Weedon Grossmith -- I've heard this is hilarious. Plus I'm intrigued to read something by a writer named Weedon. And it's really short, a nice change from most of those Victorian chunksters. 6. The Odd Women OR New Grub Street by George Gissing -- I've read a lot of good things about Gissing and got both of these last years from Paperback Swap. I'd like to expand beyond Dickens, Trollope, and Hardy. Besides these six novels, I own BBC adaptations of The Barchester Chronicles (starring Alan Rickman! ), Daniel Deronda, and He Knew He Was Right. Plus, I know with the Dickens bicentenary there are two new adaptations of Great Expectations coming to TV and theaters. Maybe I'll even make it to Galveston for Dickens on the Strand next December! I'm a complete pushover for a good challenge, especially when it involves reading books I already own. The other day I found another one that fits the bill perfectly for next year. 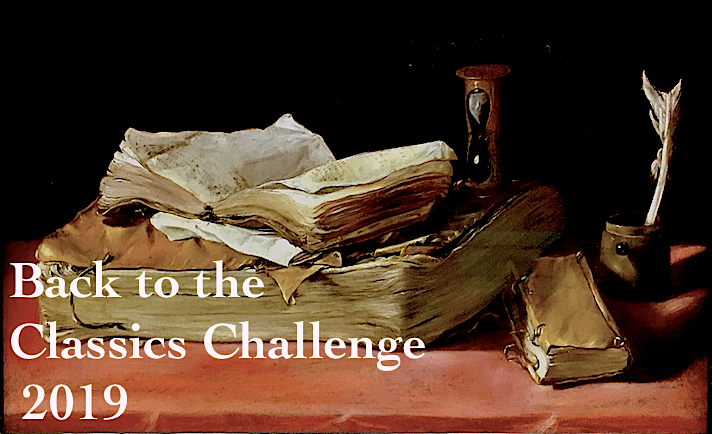 It's another TBR challenge, but with a twist: participants must read at least twelve books off their TBR shelves, but every book must have been on the shelf for at least one year. That is a real challenge! It's hosted by Roof Beam Reader, a blog that's new to me, but I'm very glad I found it. You can find the details of the challenge here. 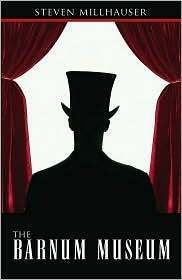 The Barnum Museum by Steven Milhauser -- I bought this back in 2006 after watching the excellent movie, The Illusionist, which is based on one of the short stories in this volume. I still haven't read any of the other stories in this collection, but my good friend Amanda over at Ramblings tells me that the first story, "A Game of Clue" is one of her all-time favorites, so she's inspired me to add it to the list. So what do you think, bloggers? Good list or bad? It's Good Things in England by Florence White!!! Very exciting!! I've wanted this book since I saw it on the Persephone list -- I love cookbooks and British food. I remember this being mentioned in one of my favorite food books, Laurie Colwin's delightful Home Cooking. I love food history and historical cooking. I really enjoyed the first Persephone cookbook I purchased, Kitchen Essays, and I bought Plats du Jour this summer (though I confess I still haven't cooked any recipes from either). This book includes twelve recipes for gingerbread, plus all kinds of other fun stuff -- Madras chicken curry, kedgeree, and manchet, plus pease pudding and even haggis. Okay, maybe I won't be making haggis, but it's pretty fun that it's included. Many thanks to my secret Santa!! I still don't know who you are, but I love my gift! If you read this, please reveal yourself in the comments. I love my gift and I hope you get a wonderful gift from your Santa. And here's a link to the post from my secret Santee, Care of Care's Online Book Club! Merry Christmas, Care, and to all the other Persephone Secret Santa participants. And thanks again to Verity and Claire for hosting! Who else had a visit from Secret Santa recently, Persephone or otherwise? What did you get? Let me know in the comments.